Donna McConnell may be a bit of an overachiever. She has made four quilts inspired by the original. She is one of the members a group that met a few years back. Though she had finished three quilts previously she was challenged to begin anew when we started our group in November 2007. In fact Donna gave us a demonstration in our first meeting on her machine appliqué technique which I have affectionately named Donnappliqué. Briefly, Donna uses a two-sided fusible on her fabric. She then sews the raw-edged piece down to the background using a machine-blanket stitch. 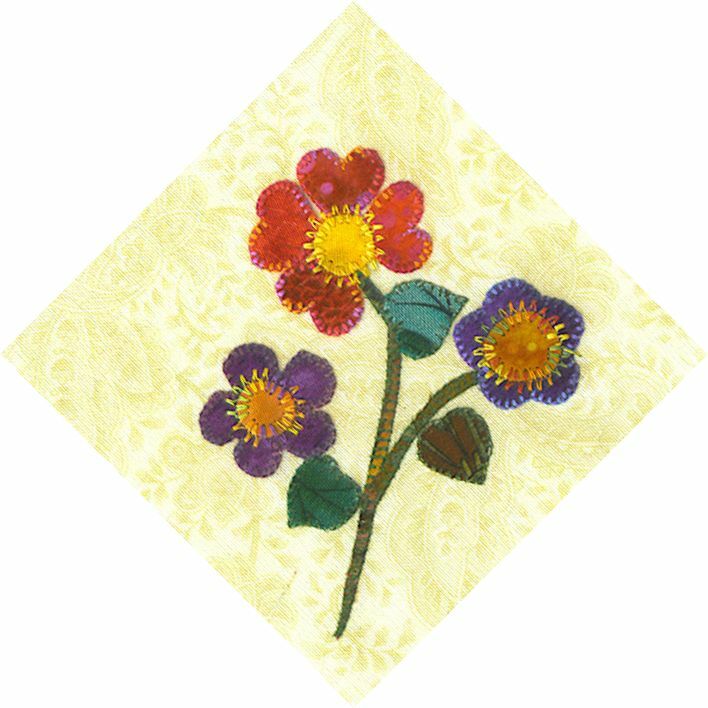 This can vary to embellish the flower. Look at the detail on the center of these flowers. 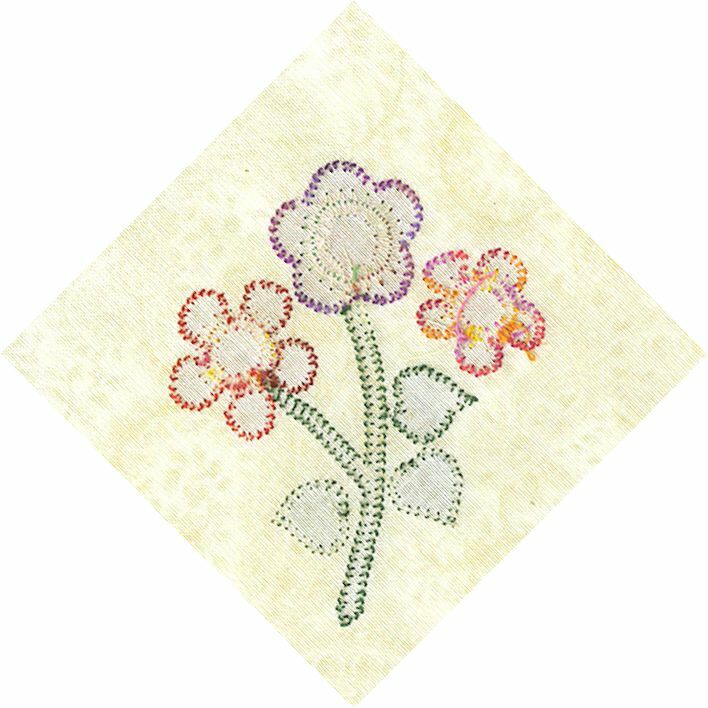 Donna's work is meticulous which not only shows up as perfection on the front of the piece but on the back as well. 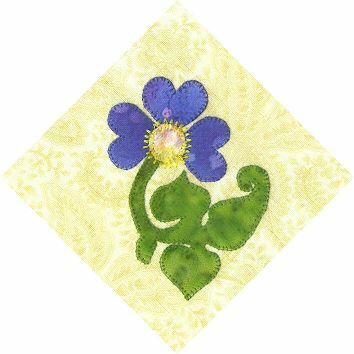 Please take a look at Donna's Garden site where you will see her three previously completed quilts as well as the block chart for her last garden quilt. Study the 3" blocks. Though there are many that are similar, each is unique in its leaf arrangement, petal number, or size. 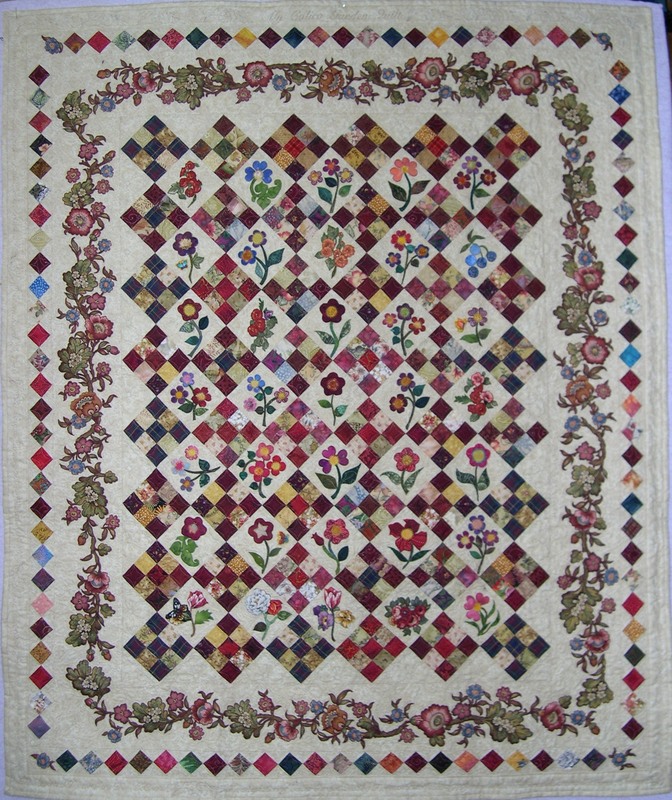 Donna's 42" x 52" quilt is machine appliquéd, pieced, and quilted.